Topic: This video outlines the brief steps needed to change the heating and air conditioning cabin filter, also called the cabin microfilter on a F30 series BMW. Earlier and later F30 3 and 4 series models are similar. BMW recommends replacing the filter once a year or every 12,000 miles. A cabin air filter helps to trap pollutants like pollen, soot, and dust, bacteria, gases and other contaminants from getting inside your vehicle. 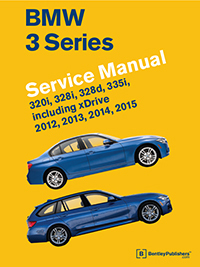 Demonstration Vehicle: Bentley Publishers' Do-It-Yourself repair example uses a 2015 BMW 335i xDrive (F30) .